Episode two of Minecraft: Story Mode - Season Two will premiere on August 15, 2017. The episode, entitled 'Giant Consequences,' will be available for download on Xbox One, PlayStation 4, PC, Mac, iOS, and Android-based devices. 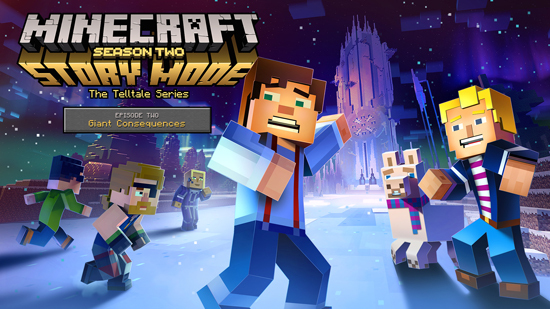 Minecraft: Story Mode - Season 2 continues Jesse's saga in a five-part series developed by Telltale in collaboration with Mojang and members of the Minecraft community. This second season includes Telltale's unique multiplayer 'Crowd Play' feature, which allows friends and family to engage with the adventure together by helping to decide the direction of the story from any mobile device with an online connection. 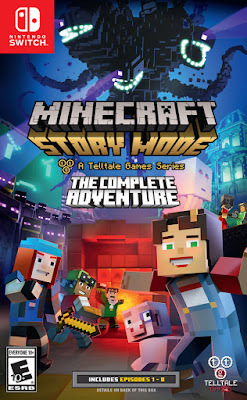 Telltale also confirmed today that Minecraft: Story Mode - The Complete Adventure will be available on Nintendo Switch starting August 22, 2017 in North America and August 25 in Europe and other regions. 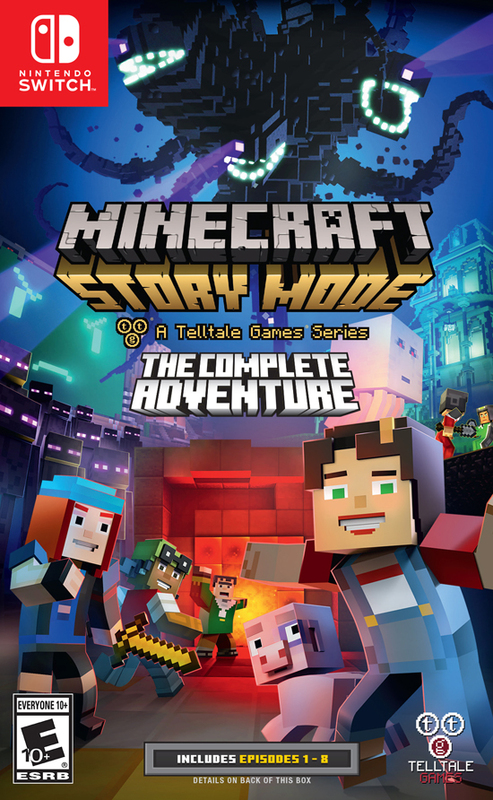 Available as both a digital download and a physical cartridge at retail, 'The Complete Adventure' includes all eight episodes from the first season of Minecraft: Story Mode: five episodes from the original season pass, plus the three bonus episodes from the 'Adventure Pass' add-on series. Minecraft: Story Mode - The Complete Adventure will be available for US$39.99 or equivalent, and was rated 'Everyone 10+' for Fantasy Violence and Mild Language by the ESRB. Both The Complete Adventure and Minecraft: Story Mode - Season 2 are standalone products separate from the core Minecraft game. A retail version of Minecraft: Story Mode - Season Two will become available on disc this fall.